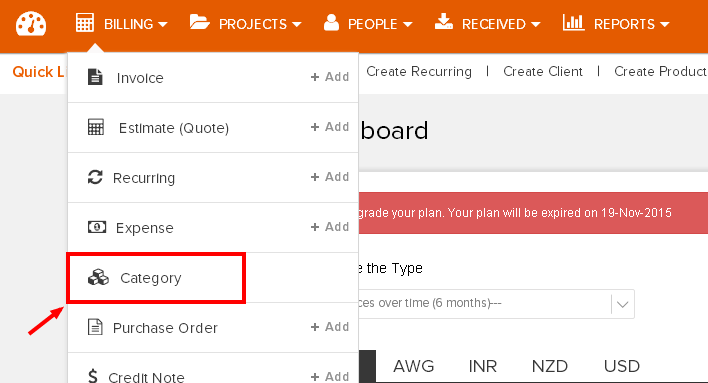 Invoicera Support and Knowledgebase » Expenses » How to Create an Expense Category? Login to your Invoicera account and on the ‘Billing’ tab select the ‘Category’ drop-down option. In the ‘Category Management’ section you will see a list of existing categories. Click the new ‘Category’ button on the right to be able to create a new one. Fill in these details and click on save to create a new expense category.